Russian composers have created some of the most beautiful and powerful classical music. They hold a special place in my heart, and they're also separated geographically and historically form the rest of Europe. Since there are so many of them, and they're a tight-knit bunch, I've put several of them here on one page. Of course there's Peter Tchaikovsky as well, but he's famous enough to have his own section. In the 19th century, a group called The Five (Rimsky-Korsakov, Mussorgsky, Balakirev, Borodin and Cesar Cui) banded together and made their goal the promotion of purely Russian music. Their compositions were inspired by Russian history and folk stories, and used traditional tunes and harmonies. It's the perfect example of nationalist music, which had a huge rise all over Europe towards the end of the 1800s. This was a golden age for Russian classical music. It was only really at this point that the Russian's efforts began to be appreciated by their European peers, who previously thought it was crude and unsophisticated. 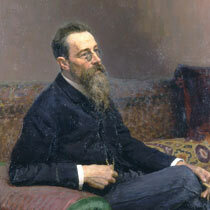 One of the most skilled and inventive orchestrators of all-time, Rimsky-Korsakov had the ability to create astonishingly rich and creative orchestral sound worlds. His talent wasn't the product of extensive practice, but some innate, maybe even divine, gift. He started out not as a musician, but as a naval officer. During his 3-year long round-the-world cruise as a cadet, he wrote his first symphony. He hadn't had any musical training before so it took him a while! On his return he was mentored by Mily Balakirev, and then became Professor of Composition at the Saint Petersburg conservatory. 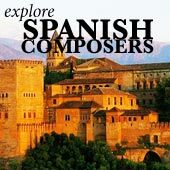 He is world-famous for such pieces as the Flight of the Bumblebee (from the opera The Tale of Tsar Saltan), Capriccio Espagnol, and Sheherezade. He wrote 13 operas, three symphonies, and several other orchestral and chamber pieces. 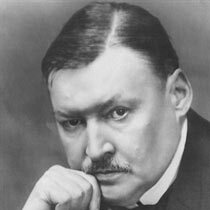 A later Russian composer, Glazunov was introduced to the already famous and established Balakirev and Rimksy-Korsakov at an early age. His talent was huge and he progressed exceptionally quickly. He became the director of the Saint Petersburg conservatory, and later the Leiningrad conservatory after the Russian revolution. But the Soviet government didn't like his methods and his drinking habits, so he eventually fled the country in 1928. His music is a kind of mix of the styles of other Russian composers, with a graceful confidence and wonderfully joyous melodies. Even during his own lifetime the public thought of him as slightly old-fashioned! 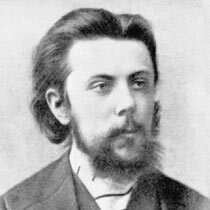 Mussorgsky's story is one of the most tragic stories of all the Russian composers. His music is also slightly different, with a rawer, harsher sound. Still, the beauty and genius of his music is impossible to deny. He was a hugely talented pianist as a child, but joined a military academy and had an uneventful life in the civil service. His life went on a downward spiral of poverty, depression, and alcoholism, until he died at age 42. He is most remembered for the masterful opera Boris Godunov, the chilling orchestral thunderbolt Night on Bald Mountain, and the Pictures at an Exhibition suite. Ah, the polymath! 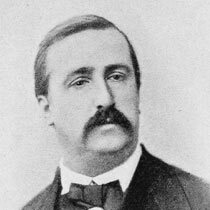 Known for his achievements in chemistry as much as music, Borodin was a both scientist and composer. Born into an aristocratic family, he became a member of The Five later in life, even though music was hardly more than a serious hobby for him. 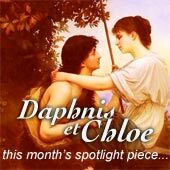 Borodin created expansive, floating harmonies in some of his songs for voice and piano, which directly inspired French composer Claude Debussy's luxuriously free-form harmonies. His most famous works are the two beautiful string quartets, and the opera Prince Igor (from which the popular series of Polovtsian Dances come). Rachmaninoff has the reputation of writing dark, sultry, impossibly difficult piano music - at least that's how I see him! 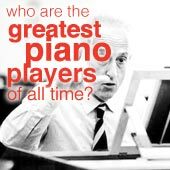 This huge-handed Russian gained fame as a concert pianist before becoming even more renowned as a composer. He moved from Russia to the USA. Inspired by Tchaikovsky, his music goes even further and has a richly deep and complex quality, as well as some exceptionally beautiful melodies. His output includes piano concertos, huge amounts of solo piano music, dozens upon dozens of beautiful songs, the hugely popular Rhapsody on a Theme of Paganini, grand orchestral tone poems like The Crag, and the deeply spiritual Vespers. The oldest of the Five, and their leader. Balakirev brought them together and led them to create and promote their uniquely Russian music. His influence on the younger Russian composers in his circle is huge - lots of ideas that Rimsky-Korsakov or Mussorgsky used actually originated in Balakirev's head! His music was actually highly original and exciting, but he had a habit of laziness and didn't finish music until sometimes decades after he started writing it. Because of this, he's not as famous as a composer which I think he deserves to be. You can explore more about the lives of these Russian composers and their music by clicking on the links scattered above. Happy reading!